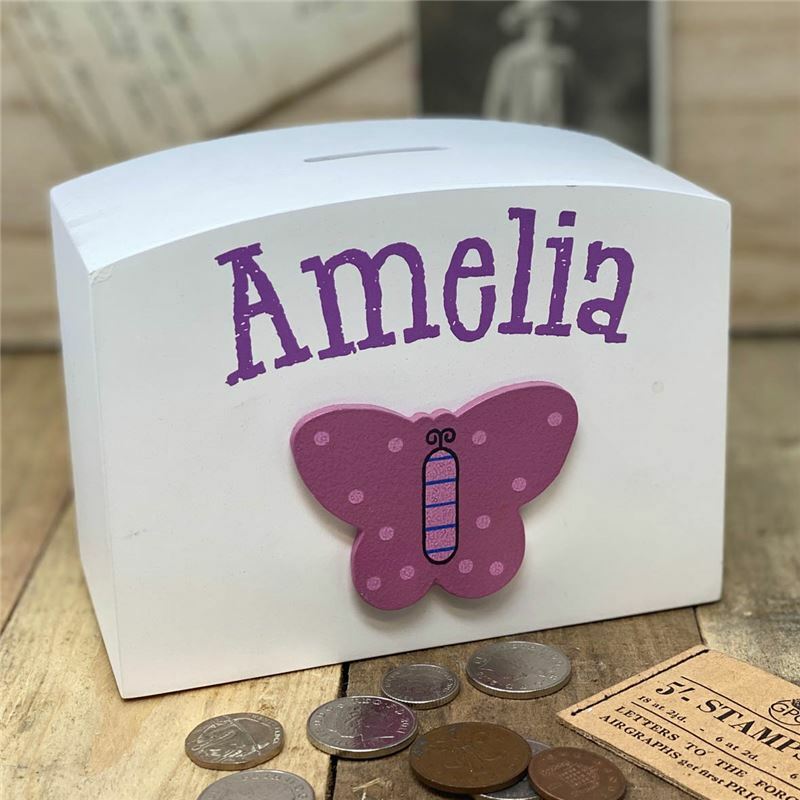 What a delightful wooden money box, personalsied with the name of your choice and decorated with a beautiful butterfly. Makes a unique birthday present or Christmas gift. Handpainted in the Angelic Hen workshop.